Copenhagen, the premier capital of Northern Europe, is Scandinavia's most fantastic city, as well as the most dynamic region in Europe, the Øresund Region. 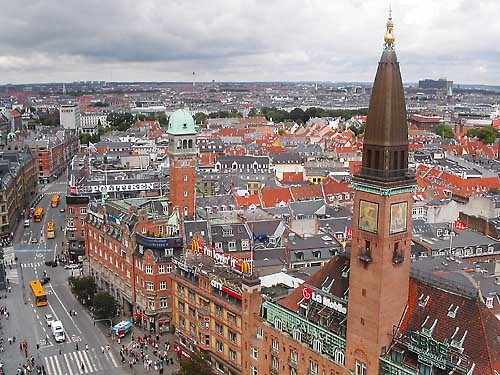 The city is one of Europe's oldest capitals with a royal touch - the monarchy in Denmark is the oldest in the world! A slogan for new houses “There's something modern in the state of Denmark”, a paraphrase on the well-known Shakespearian quote from Hamlet, somehow encapsulates the spirit of the youthful dynamism present in Copenhagen. Discover it, mirrored in the walls of Black Diamond, but pay also attention to all those historical architectural pearls such as the Royal Castle Amalienborg, and our special favorite the - Church of Our Saviour. 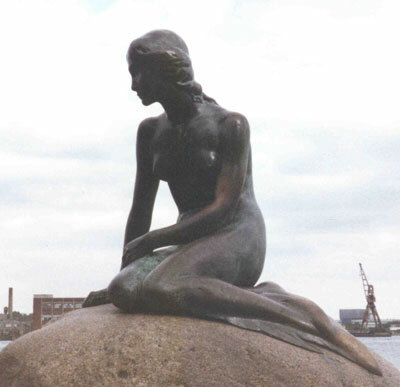 Gefion Fountain, CopenhagenVisit Louisiana, Arken and - Glyptotek- all among the best art museums in Europe; take a walk towards the Gefion Fountain, Copenhagen's own Fontana di Trevi, and see how the Little Mermaid is doing...! Or why not visit Tivoli, the amusement park in the middle of city. There is more: have a Carlsberg beer (the best, obviously) in one of many beer cafés by the canal in Nyhavn, or visit the Carlsberg Brewery, to learn about the origins of the world famous Danish beer. These are truly exciting, cool and very enjoyable places to visit. Would it be not enough, take a short ride and check how other Scandinavians are doing: With the Öresund Bridge, the motorway and railway link, it takes only 30 minutes by train from Copenhagen City Centre to the centre of Malmö, Sweden. Naturally, you must seize such a great opportunity to see more of Scandinavia! In the friendly, cultural and cosy, but also trendy athmosphere of Copenhagen drinking, eating and meeting is never a problem. You will find restaurants with all the world's kitchen, but don't forget to visit a genuine danish "kro" to taste Danish specialities like smørrebrød, (open sandwiches) pølser, (hot dogs) and frikadeller, (meatballs) all perfect to match a cold beer. 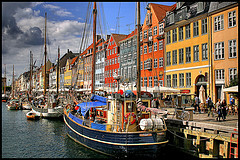 Copenhagen offers a big range of cafés, pubs, restaurants and nigthclubs. We assure you that you'll find more than one place to your liking. Copenhagen is a swingning city almost around the clock. But if you want to rock 'n' roll you have to wait till midnight when most nightclubs wake up. Until then do as the Copenhageners, go to a bar or café for some "hygge". Whether you like live music, trendy, cosy or genuine places, Copenhagen's nightlife has something for you. Many places keep on swinging till dawn. If you go to a fancy nightclub, dress code is international, and if you feel like a tuxedo, that's OK. Otherwise Danes tend to dress down a bit. Many of Copenhagen's cafés, bars, restaurants and clubs change character from bar to café etc. during a 24-hour period - an experience you don't want to miss! One of those so called hybrid-bars is Aura at Nytorv. 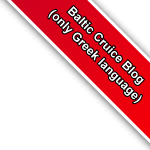 Generally, the clubs charge DKK 40-100 for an entrance; cloakroom is mandatory.